WE CREATE BEAUTIFUL SMILES, FOR LIFE! 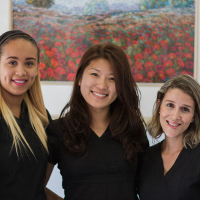 As a family owned and operated practice, we treat every one of our patients like family. We only provide treatment that we would feel comfortable giving to our family members. What this means is that we approach dentistry with a conservative philosophy to avoid over treating your teeth. Our doctors make sure to thoroughly explain the treatment that you need so that you understand and feel comfortable with the treatment that we recommend. One thing everyone always dreads at the dentist is seeing their expensive and extensive treatment plan. At Duluth Dental and Dentures, we offer affordable treatment and can also provide payment plans or financing depending on what would best fit your situation. We keep our treatment fees as affordable as we can because we care about you and want to help you because you are family to us. At Duluth Dental and Dentures, we are happy to welcome patients from every age group. If you are looking for a new dental home for your children, or if you are a senior looking for a quick denture repair, we are here to help you! 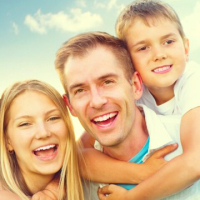 Just give us a call today to become part of our dental family. 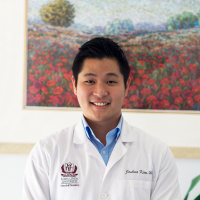 Dr. Joshua Kim's favorite part of dentistry is knowing and caring for his patients of all ages. He takes pride in making sure that each and every dental appointment is the best experience possible. He attends continuing education courses to be as up to date on the latest technology and methods in dentistry to better serve his patients. 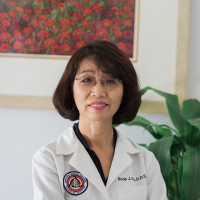 Dr. Susan Kim's mission is to treat people with honesty and integrity. While practicing in Florida, she discovered her passion for dentures and how dentures can transform people's lives. At our office we use digital x-rays to diagnosis early cavities or gum disease and biannual cleanings are recommended to prevent gum disease​. A filling is one of the ways we use to restore a damaged tooth, removing decay and preventing further damage. Duluth Dental & Dentures is diligent in creating a beautiful and functional option based on your personal needs. We offer implants with the latest and best technology to replace your missing teeth or to help hold your dentures without the need of adhesive. We have an in-office denture lab to custom make your new dentures or complete your denture repairs in 1 day or even 1 hour! We are happy to offer FREE implant or denture consultations and panoramic x-ray for a limited time. At the consultation, the doctor will be able to listen and answer any questions you have about implants or dentures. Call us today to schedule your consultation!